After attending SLU, then coaching the St. Louis University Billiken's Basketball Team in 1946-47 season, John P Flanigan, was inducted into their Hall of Fame in 1995. He founded this agency in 1950 where he worked, until his retirement, in 1989 and passed away in 2006. David W Flanigan joined the agency in 1983. This Independent Insurance Agency, located in West St Louis County, has been serving Missouri families for 65 years. 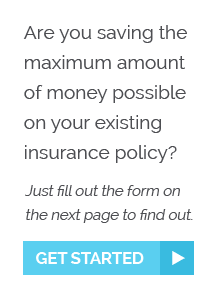 This is a Personal Lines(insurance policies purchased by individuals and families) such as Automobile, Homeowners(similar if own Condominium or rent a home/apartment), Umbrella, FLOOD, Earthquake Only Policy, Motorcycle, RV, Pet Insurance, ATV, Boat, Term or Universal Life and Health Insurance with fine insurance company partners. Dave and granddaughter, Alaya Dave and grandson, Nolan.